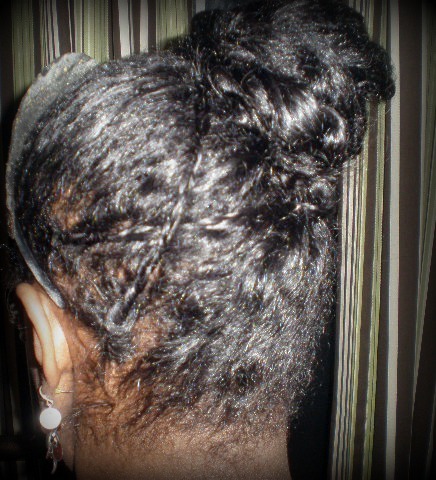 This bun took about 30 minutes to create due to all of the twists and the placement of the bun. Plus, since my hair is very fine I have to be super careful not to rip through it when styling (not an easy task!). Remove scarf and decorate with a headband or other hair accessory. This protective style was fun to do. You can play around with the placement of the bun but I think this is a really chic looking style that plays up the classic bun but with a little more flare. 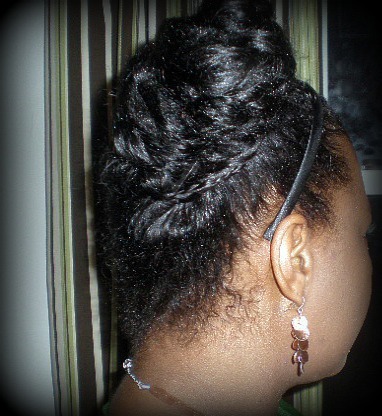 Initially, I was going to place the bun in the back of the head and then create braids on both sides of the head. Then, I was going to criss cross the braids on both sides and pin up. 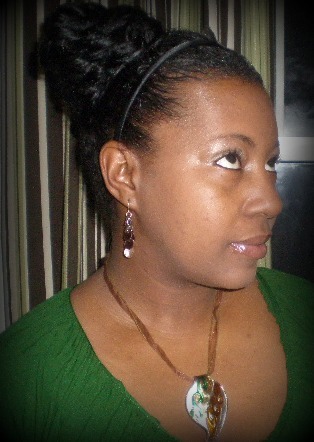 However, I was running late for church so decided on doing a side swept bun and only one side with braids. Next PostCan You Trust The Cosmetic Manufacturers To Tell The Truth About Their Products? 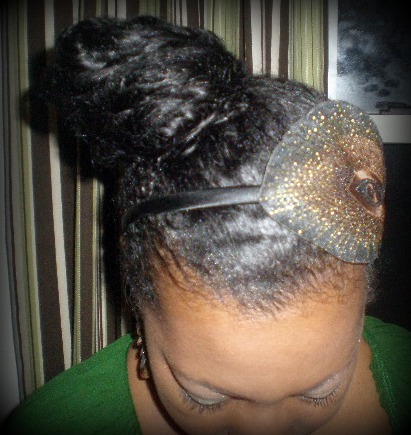 #love I have a black tie event in January and I am going to wear my hair like this! Thanks for the inspiration! I will do a ‘try out’ this weekend! Happy Holidays! Thanks Etoile! Did you see today’s bun?? LOL Chanel. Invest in your protective styling. I get so bored with it. I’m pretty sure I’ll come up with some mammy made styles soon LOL. Very pretty, I have to try this bun. I have headband just like the one you have on. So pretty. i have so many headbands. Some I have not had a chance to wear yet. I love headbands. Now, I’m trying to come up with some styles (and outfits that match!) to wear them more often. …and how come you look so shimmery? 🙂 That’s my mineral makeup. I really like it. Too much you think? I was going to church.